These jobs are not for the squeamish or faint-hearted! The work is hard, hours can be unsocial,pay is not brilliant and the smells cling to everything. Apart from that, it’s great. A good stockman knows his stock and may have looked after generations of the same family ofanimals. He knows all about them; their habits, oddities and breeding cycles! An eye for what is normal and healthy in livestock comes with years of experience. There are always financial consequences when an animal is sick or dies-that’s why, apart from having a genuine interest in the welfare of livestock-stockmen monitor the animals in their care very closely. Some injections may be given and minor operations carried out by stockmen on the farm, but, they must know when to call in a veterinary surgeon. What Does a Stockman do? 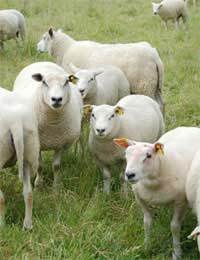 Depending on the numbers and types of livestock kept, their work can vary from seasonal chores, like tractor driving, helping with the harvest and farm maintenance, to arranging forthe artificial insemination, or mating, of fertile females and being present at all the births! Housing for the animals needs to be kept clean and tidy (to avoid accidents) and fresh water and bedding provided. Diets will be changed according to the animals needs. For example, gestating and lactating females will be fed differently to male animals. Rearing young animals requires extra care and attention and when the animals are out at grass, the fencing or boundaries must be checked for security and safety. These men and women specialise more in the care of dairy and beef cattle than general livestock. Dairy cows are milked twice daily by machines in milking parlours which have to be kept scrupulously clean. He will have checked the mother cow’s milk is free from potentially harmful diseases and infections like bovine leukosis and Johne’s disease and will be involved with the rearing of the calves. The stockman is also the one who handles the bull or bulls-often by allowing the bull to lead the herd where he wants them to go. Or, if the bull is penned, ensuring strict safety procedures are adhered to. Neither salary is anything to get excited about. A stockman earns anything between £230-370for a 39-hour week on average. Herdsmen may earn £20,000-25,000 a year in full time employment.Both jobs can be done by self-employed people who may earn more by doing contract or relief work. The work undertaken by both stockmen and herdsmen is physically hard and few of them smell of roses, when in their work overalls, but, a full time position like this has advantages. Because of the unsocial hours and need for a permanent presence, rent-free housing is often provided on site. To be a stockman or herdsman takes a responsible and adaptable person who is happy to work alone most of the time and is not afraid to make decisions. They need to be able to use technical information, for example, when administering drugs and working out milk quotas. Competence in form-filling is another necessity! A sense of humour and a genuine love of the countryside help to get the best out of these rural occupations. Personal development in man management often turns out to be an unexpected acquisition, particularly for those who do contract work and have to learn to fit in without being either bossy or subservient! As you can appreciate there are many different jobs and careers inside farming. You can access what you need for a farm worker and other related agricultural careers in the industry via the National Careers website here. I hope this helps. Where is the best place i can learn to become a stockman at 45. And will it cost me an arm and a leg.